In general, I consider myself a pretty open-minded dietitian when it comes to my approach. I believe one diet definitely doesn’t fit all- I focus a lot on doing what makes YOUR body thrive, in addition to making the healthiest choice possible with the options you’re given. However, one thing I don’t budge on is the use of vegetable oils; canola oil specifically. It might get confusing trying to navigate your way through choosing which oils are best for cooking, which oils you should be consuming more of, and which oils should be avoided like the plague. When it comes to canola oil, it definitely makes my list of food items to stop consuming immediately. There has been much controversy over canola and if it’s indeed as bad as the headlines read. Canola is a genetically modified crop and was developed by researchers from Agriculture and Agri-Food Canada and the University of Manitoba in the 1970s. They used traditional plant breeding techniques from rapeseed, which belongs to the cabbage or mustard family. The name “canola” comes from, “Canada” and “ola,” meaning oil (1). Canola was genetically engineered as a cost-effective alternative to oils high in saturated fats. Although it’s rich in omega-3 fatty acids and a good source of oleic acid, there are many other factors that play a role in why it’s one of the most dangerous oils on the market. Canola oil is a refined oil that’s often partially hydrogenated to increase its stability- this increases its level of trans fats and in turn, increases its negative health effects on the body. Trans fats are to be avoided as often as possible as they’re scientifically known to increase LDL cholesterol and lower HDL cholesterol. After years of cultivation in Canada, nearly 90 percent of canola oil grown in the U.S. was genetically modified by the year 2009 (2). GMOs are plant or meat products that have had their DNA altered in a laboratory by genes from other plants, animals, viruses or bacteria (3). *Many people questions the safety of GMOs, and for good reason. Monsanto lends a huge hand in dominating America’s food chain with cruel tactics. Monsanto is a global modern agriculture company that wants you to believe they’re doing good by providing farmers with sustainable agriculture solutions. They are responsible for most of the genetically engineered (GE) crops in the world today. So far, the company has produced genetically modified seeds for soybeans, corn, canola, cotton, sugar beets and alfalfa. In order to purchase a GMO seed from Monsanto, a customer must sign an agreement limiting what can be done with the seeds. One of the limitations happens to be independent research. Monsanto developed Roundup, a glyphosate-based herbicide (currently the world’s most used pesticide) in the 1970s and is now a major producer of genetically engineered crops. The World Health Organization even conveyed that glyphosate is probably carcinogenic to humans, which means it’s an environmental factor that can lead to cancer (4). More info on Monsanto’s Roundup. Millions Against Monsanto was a campaign started by OCA in the mid-1990s to fight back against Monsanto for poisoning the world’s food and the environment. Click here for more info on the fight against Monsanto and the Grocery Manufacturers Association (GMA) (5). In addition to the risk GMOs play on human health, the overuse of pesticides, such as the ones Monsanto markets with its GM crops, has contributed to environmental damage and herbicide resistance. Further, glyphosate has been found in the milk and meat of cows, and in human urine (6). More recently, it is said that Monsanto’s name will be dropped once Bayer, a German pharmaceutical and chemical company, formally acquires Monsanto this August 2018. This $66 billion merger will create the largest seed and agrochemical company on Earth, and is part of a larger campaign to win back consumer trust by removing the Monsanto name. Click HERE for the latest of Roundup weed killer being found in CHEERIOS and QUAKER products. According to EWG, glyphosate is an especially concerning problem for children. The U.S. Environmental Protection Agency, for instance, has found that children between the ages of one and two have much higher exposure than older people. Their daily glyphosate intake is estimated at 230 times the 160ppb benchmark, according to EWG. We’ve been told for years by those we should be able to trust, i.e. the government, the American Heart Association, the National Institutes of Health, etc. that vegetable oils are heart healthy and cholesterol-lowering, and that saturated fats such as coconut oil are bad for you. Vegetable oils contain high amounts of omega-6 fatty acids and, when consumed in higher omega-6 to omega-3 quantities, contribute to inflammation in the body (7). Our bodies need this type of fatty acid but currently, most Americans consume 20-50 times the amount of omega-6s as they should. The more refined oils we eat and the less grass-fed and wild animals we consume increases our omega-6 intake. We should strive for a true balance of 1:1 ratio of omega-6 to omega-3. Vegetable Oil, the silent killer– click here to listen to the podcast with Dr. Cate Shanahan. Avoid foods sprayed with pesticides!! The use of genetic engineering, or genetically modified organisms (GMOs), is prohibited in certified organic products. An organic farmer can’t plant GMO seeds, an organic cow can’t eat GMO alfalfa or corn, and an organic soup producer can’t use any GMO ingredients. Obviously, it is a privilege to shop organic and I believe that if you don’t have the means to shop organic, following the Dirty Dozen will be your next best option! It’s also important to shop and support your local farmers. Get to know them– they might use organic practices, but might not be able to afford the pricey organic certification. GMO crops are exposed to a massive amount of pesticides, including glyphosate that’s been known to be carcinogenic. Monsanto developed their GMO crops to be ‘Roundup-Ready.’ This means that the plant won’t die when exposed to glyphosate. In turn, farmer’s can spray their entire fields with Roundup knowing only the weeds will die. Additionally, glyphosate residues cannot be removed by washing and they’re also not broken down by cooking. Basically, the more we learn about glyphosate, the more we’re realizing how dangerous it really is. Glyphosate is a patented antibiotic (granted in 2010), meaning that it kills both the good and bad bacteria in the gut. Consuming probiotics, or live microorganisms that line your digestive tract and support your body’s ability to absorb nutrients and fight infection, will help restore those bacteria that are destroyed. Sources of dietary probiotics include fermented veggies like sauerkraut and kimchi, coconut kefir, some organic yogurts, and kombucha. When ordering food, make sure to ask your servers what types of oils the restaurant uses. This is very important, especially if you’re the type to eat out 2-3+ times per week. If you can request either olive oil or no oil, more power to you! Canola, along with other vegetable oils are making their way into an abundance of packaged items. Items that don’t necessarily need added oils. Next time you’re at the store or even perusing your pantry items, check out the ingredient lists…you’ll be surprised how common it is for products to contain vegetable oils. They’re commonly found in anything from salad dressings, spreads/dips and hummus, even airplane snacks and some of the Whole Foods ready to go foods contain vegetable/canola oils. So many people are stuck in the dark when it comes to proper nutrition, not to mention even considering the types of oils their food is cooked in. Be the change & educate others to become aware of what they’re putting in their bodies each and every day. The real and potential harm that these products cause to our environment and human health is unacceptable and our world needs to know about it. Avocado oil: Has a high smoke point (400 degrees F) and is my go-to for any sort of cooking/sautéing. Contains high levels of monounsaturated fatty acids beneficial for the heart and rich in vitamin E. Opt for one that is organic, extra virgin, unrefined and cold-pressed. Better for medium heat cooking. Coconut oil (in moderation): coconut oil is extracted from coconut meat. It’s full of medium-chain fatty acids (MCFAs) composed of caprylic acid, lauric acid and capric acid. MCFAs are easy to digest, processed by the liver for immediate use rather than being stored as fat, contains antimicrobial, antiviral and antifungal properties, reduces inflammation, prevents gum disease, helps with weight loss. Opt for extra-virgin, cold-pressed, unrefined coconut oil. Good for cooking at medium to lower temps. 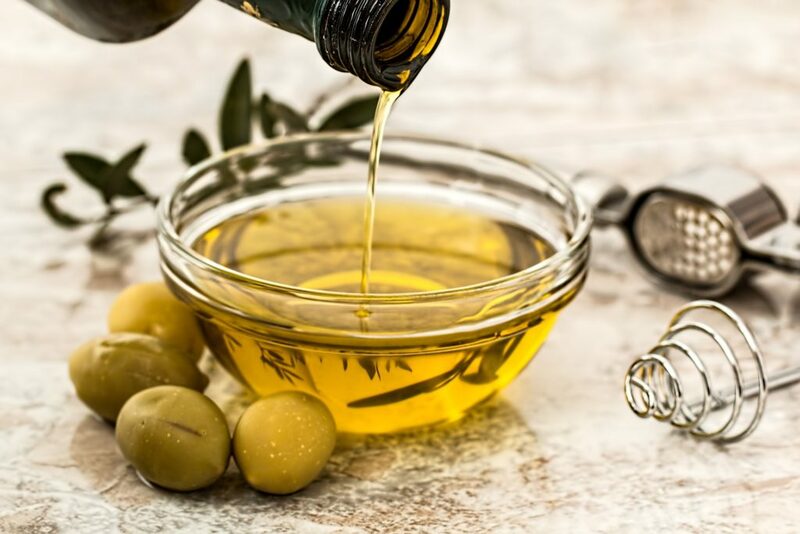 Olive oil: more specifically, extra virgin olive oil (EVOO) is composed mostly of monounsaturated fatty acids and is a staple in the Mediterranean Diet. EVOO contains a large amount of antioxidants, and is shown to support heart and brain health, fight stress, lower the risk of diabetes, aid in weight loss, and help fight cancer. Not recommended for cooking as it has a lower smoke point and oxidizes readily. Best to drizzle over food after preparing. Ghee: ghee is clarified butter that has been simmered and strained of milk and water solids, meaning it is free of lactose. It has a high smoke point and is a great source of conjugated linoleic acid (CLA), a naturally occurring fatty acid found in meat and dairy products known to reduce body fat and linked to fighting cancer (8). Good for cooking. Grass-fed butter: Also high in CLA, rich source of vitamin A from cow’s healthy grass-centric diet, anti-inflammatory. Good for cooking. Avocado oil: although it’s not the cheapest oil on the market, if you’re looking to replace your vegetable oils, this is the one for you. Packed with heart healthy monounsaturated fats, antioxidants, higher smoke point, and neutral flavor, this is a great alternative. My favorite brand is Chosen Foods because of its mild flavor and you can find at Trader Joe’s and Costco (among others). 1:1 ratio swaps. Coconut oil: higher in saturated fats, so you shouldn’t go overboard with this option– but it’s great for baking to give that rich & creamy flavor. I love it in sweeter recipes like muffins or cakes. Since coconut oil is solid at room temperature, you’d need to melt the the oil before adding to your recipe. 1:1 ratio swaps. Substitutes don’t always have to be oils! Have you ever tried unsweetened applesauce or mashed fruit like banana? It reduces calories and sugar (if opting for unsweetened applesauce). It may alter the consistency a bit to a more “cakey” feel. Substitute applesauce 3/4 cup-for-1 cup veg. oil ratio. Canola oil should not be your first (nor second, or third, or fourth) choice when it comes to choosing an oil to bake/cook with, grocery shopping for snacks, etc. There are tons of negative side effects being traced back to GMOs, which leads me to believe it’s crucial to avoid canola oil at all costs. There are much healthier options with so many more health benefits. Loving informational posts like this! Why is coconut oil considerd by many to be “bad”? Just due to high sat fat content? This was such a great read! Thank you for putting all of the info together. It definitely made me reconsider if I’m truly allergic to fruit or if it’s the pesticides/how it’s grown which may be causing the allergy. Thanks so much! Awesome Rachael! Love that you included references:) shared on my facebook page! Loving the information!!! Thanks a million! As for replacing canola oil for baking, with what? I also find coconut oil makes things stick to the pan. Help. I normally use olive oil for all cooking but what to bake with. Great post! It drives me nuts that Whole Foods uses Canola oil in many of their foods (roasted veggies & prepared salads). I wonder why they don’t make the switch to something more natural. What is a good high temp alternative? I use avocado oil the most in my cooking. Or grass-fed butter or ghee! Hi! I’m curious what your source is to support the point that canola oil is sometimes partially hydrogenated? I’ve never read that before and want to look into it further. Thanks! Thanks for the info. I’ll be switching to avocado oil for cooking and sautéting. Curious to hear your thoughts on sunflower oil? I see it in a lot of food items as well! Thanks for the great post! I am still not certain what I should look for when buying canola oil? Are you saying all canola oil is bad? What would you recommend when deep frying, when traditionally vegetable oil is used (e.g chips/fries). Not that I do it often at home, but when eating out what would be the best variety of oil? I would recommend avocado oil. Though it’s not best at high heat, it’s still better than vegetable oils in my opinion. I recently made fried halibut and homemade fries, and I used chosen foods avocado oil. It worked great. Love hearing your perspective. From another RD, also important to note that coconut oil, ghee and butter do contain saturated fats so should not be used in abundance. This is great information. Anyway you can give use a suggestion on what to use in replace of oil for baked goods? Would avocado oil be best? Would it change the taste? Love all this info!!! thank you!!! Making changes for the better!!! My young niece (she is 27 and the husband is 26) married a man/farmer who is convinced that all the hype around Monsanto is bogus and insists that what he is producing is critical to feeding the world. This all makes me very upset as I do believe that the pesticides/GMOs and the “rules” put in place by Monsanto are real and deadly. Thank you for sharing the info you researched. I plan to share this blog to social media and I truly hope more people will continue to make thoughtful choices to heal themselves and the world. I apologize if you mentioned this in the post and I missed it, but what about safflower oil? Chosen foods has their “chosen blend” that they recommend for baking. Also, what are your thoughts on palm oil?